MSN 1910, the first A330-900neo for Air Senegal, has arrived in Dakar ahead of its delivery in order to attend a special ceremony. The aircraft, registered F-WWCM under test conditions and named Casamance, was flown to Dakar to be showcased in front of the President of the Republic of Senegal, His Excellency M. Macky Sall and Chief Executive Officer of Air Senegal, Mr. Philippe Bohn. Local media outlets were also present to cover the event. As soon as the ceremony was over, Airbus flew the aircraft back to Toulouse to continue its standard production work. The aircraft took off from Dakar as AIB339 and was in the air for just over four hours and twenty minutes. 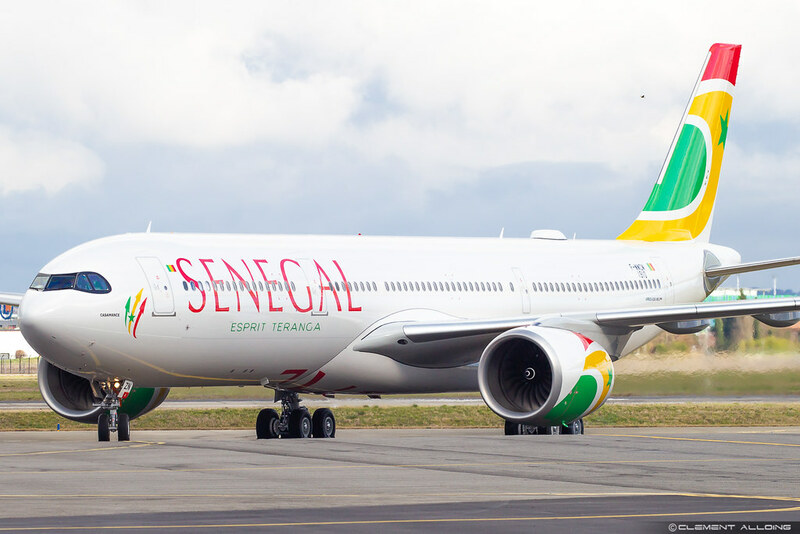 Set to be handed over as 9H-SZN in the coming weeks, Air Senegal will become the first African airline to receive and operate the A330neo – the successor to the A330 current engine option. 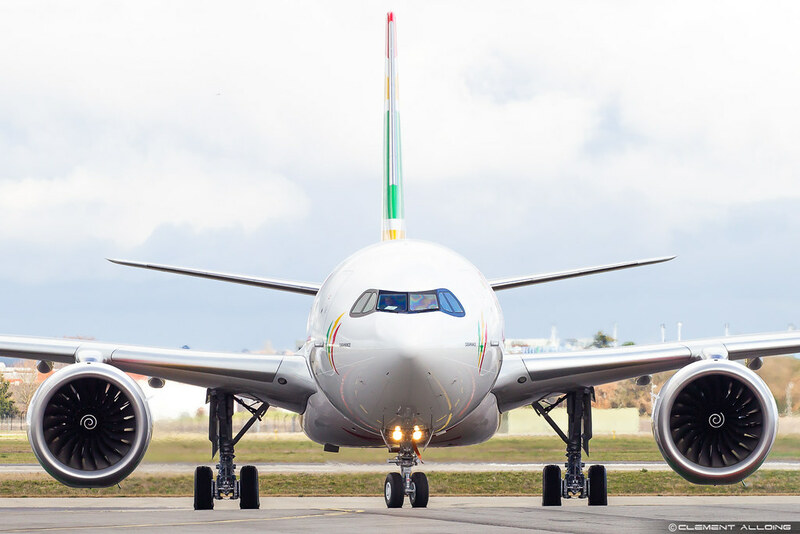 The airline, which was founded in 2016 and commenced operations in 2018, will configure their single A330-900 on order in a three-class layout, featuring 32 seats in Business class, 21 in Premium Plus and 237 in Economy. The aircraft will join their fleet of Airbus A319-100s and ATR 72-600s, and will launch on their future Dakar – Paris route. Exclusively powered by two Rolls-Royce Trent 7000 engines, the Airbus A330neo is advertised as the successor to Airbus’ original A330 Family. The new 3D-optimized wing and associated devices, aerodynamic upgrades and latest generation engines all add up to a 25% reduction in fuel burn compared to older generation aircraft in the same category. The smallest member in the family, the A330-800 is still completing test flights, however less than the A330-900 due to its commonality.